Spinal Cord Stimulation: Indicated or not indicated? Interest in the management of refractory angina has increased recently as a result of an ever growing prevalence of the condition due to several causes, and the availability of new pharmacological agents for the treatment of angina pectoris. Spinal cord stimulation (SCS) has been available for many years now as an adjunctive tool for managing patients with refractory chest pain. Controversy exists regarding the usefulness of this tool in the setting of refractory angina. Indeed, while the NICE (UK National Institute for Clinical Excellence) guidelines do not recommend the use of the device (www.nice.org.uk/guidance/TA159/chapter/1-guidance), guidelines from the European Society of Cardiology (www.escardio.org/guidelines) and the AHA/ACC guidelines (http://circ.ahajournals.org/cgi/content/full/107/1/149) in the USA consider it reasonable to use SCS for treatment of refractory angina patients. The usefulness of SCS for refractory angina has been assessed in small studies over the past few years and found to be useful in specific patient cohorts (1-4). A larger study by Andrell et al published in Heart in 2010 (5) assessed the long-term effect of SCS on angina symptoms and quality of life in patients with refractory angina pectoris defined as “severe angina due to coronary artery disease resistant to conventional pharmacological therapy and/or revascularisation”. The study was carried out in 235 patients with refractory angina referred for SCS treatment at 10 European centres from 2003 to 2005 and consecutively included in the European registry for refractory angina (European Angina Registry Link, EARL). At 1-year follow up, the 121 patients who received SCS treatment reported fewer angina attacks (p<0.0001), reduced short-acting nitrate consumption (p<0.0001) and improved Canadian Cardiovascular Society angina class (p<0.0001). Quality of life was also significantly improved. This study thus showed that SCS treatment can improve angina symptoms in coronary artery disease patients with refractory angina pectoris. (5) A major limitation of this prospective study is the lack of randomisation. The question thus emerges as to the reasons for the opposite recommendation regarding the use of SCS in refractory angina, when UK’s NICE and International guidelines are compared. The main reason for NICE not recommending SCS is likely to be the relatively small size of the studies carried out thus far. The other guidelines, however, take the view that until larger and more categorical studies are available, currently available evidence of a positive result on symptoms and quality of life with the use of SCS in several small studies, justifies the indication for this treatment. Undoubtedly, further research is required to provide a categorical answer to the question as to whether SCS should or should not be used for the management of refractory angina. Ekre O, Eliasson T, Norrsell H, et al. Long-term effects of spinal cord stimulation and coronary artery bypass grafting on quality of life and survival in the ESBY study. Eur Heart J 2002;23:1938e45. Mannheimer C, Eliasson T, Augustinsson LE, et al. 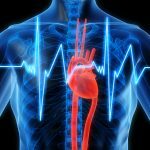 Electrical stimulation versus coronary artery bypass surgery in severe angina pectoris: the ESBY study. Circulation 1998;97:1157e63. Di Pede F, Lanza GA, Zuin G, et al. Immediate and long-term clinical outcome after spinal cord stimulation for refractory stable angina pectoris. Am J Cardiol 2003;91:951e5. TenVaarwerk IA, Jessurun GA, DeJongste MJ, et al. Clinical outcome of patients treated with spinal cord stimulation for therapeutically refractory angina pectoris. The Working Group on Neurocardiology. Heart 1999;82:82e8. Andrell P,Yu W, Gersbach P, Gillberg L, Pehrsson K, et al. Long-term effects of spinal cord stimulation on angina symptoms and quality of life in patients with refractory angina pectoris results from the European Angina Registry Link Study (EARL). Heart 2010;96:1132e1136. doi:10.1136/hrt.2009.177188. Professor Kaski’s review of the use of spinal cord stimulation (SCS) for the treatment of refractory angina pectoris highlights a number of important issues, most particularly the disparity between UK based guidance from NICE and that of the European and American cardiological societies. Both the ESC and the AHA/ACC agree that the balance of evidence from the available studies does suggest some clinical benefit. It is also true however, that the results from the earlier trials (references 1-4) were somewhat mixed with most trials reporting a reduction in frequency of angina, but very inconsistent results in terms of nitrate usage, functional capacity and quality of life. The most favourable study for the use of SCS in RA (reference 5) was published in 2010 whereas the NICE assessment was 2008 which is likely a significant factor in the difference between the UK and European/US recommendations. A further problem for NICE is the nature of its mission. It is charged with assessing the clinical cost effectiveness of interventions (my emphasis), whereas the other bodies are mainly charged with advising on clinical effectiveness only. This fact is likely to have contributed to the negative recommendation from the UK body, although they did support further research to generate better data. This last point serves to emphasise the importance of the final point that we need further research. Studies need to be controlled and blinded as much as is practical, since placebo effects have repeatedly been shown to be particularly important in any chronic pain syndrome such as RA. Finally, any studies done must be of sufficient size and quality to allow a meaningful cost-effectiveness analysis. Only then will we have the basis for better and more consistent assessment of this technology.